Founded in 2010, Industrial Scripts is today one of the world’s leading script coverage and development companies. 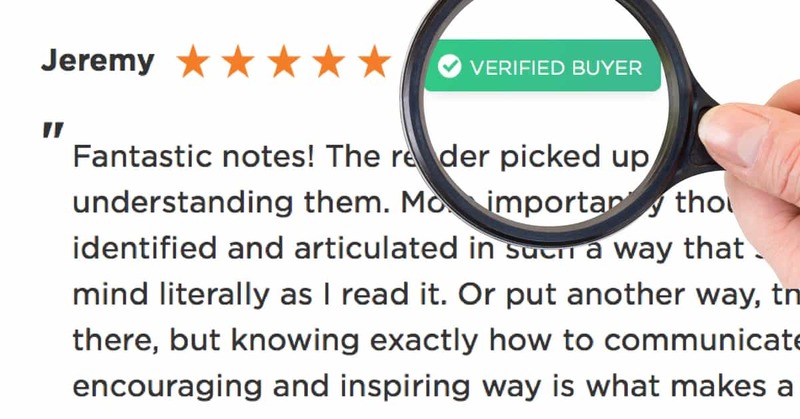 We are the only screenwriting co. with over 1,000 verified customer reviews. These aren’t copy and paste testimonials, but rather genuine reviews verified by Google-approved independent sites. Fully 46% of our bookings are returning clients. Script coverage is what we do: all day, every day. Film & TV development is fiercely competitive – scripts get few chances to impress. Hiring a script consultant, before submission, is essential. If our consultant rates your script, we market it for free, via Talent Connector. We’ll be honest with you: the film & TV industries operate a “guilty until proven innocent” policy when it comes to screenplays. Some people may not like to hear that, but it’s the truth. Raising money for scripts and for films is an extremely competitive business, and it’s rare that producers, writers and directors get multiple bites at the cherry. Truly great scripts are so few and far between, that agents, executives and producers won’t look at a new writers’ work more than once. Don’t believe us? 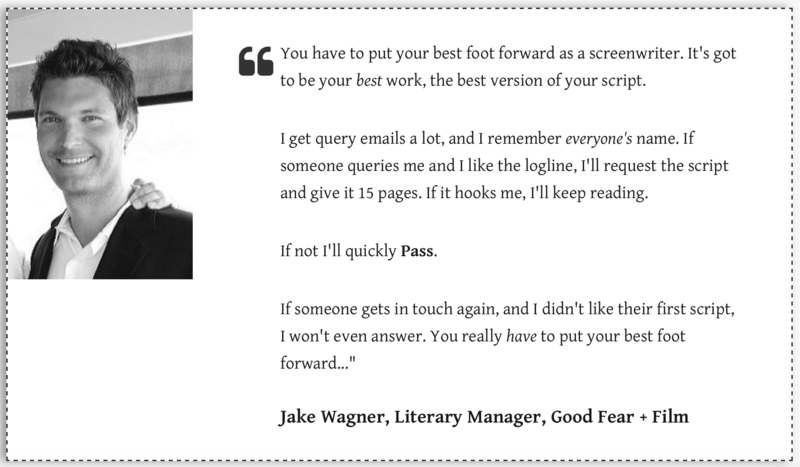 Check out the quote below from leading literary manager, Jake Wagner. What services does Industrial Scripts offer? In November 2018 we streamlined our services, to focus heavily on specific script coverage options. Got questions about any of our script coverage services? Our client base is broad, diverse and global. Clients range from blue-chip, produced screenwriters; producers from the advertising sector looking to switch over to drama and comedy; busy directors who use us a sounding board; and new screenwriting talent aiming to hone their craft and build their portfolio of great scripts. We cherry-pick our script editors from referrals within the industry, and the considerable volume of CVs and script coverage examples we’re sent. The truth is that innate talent goes a long way in script reading. It can be taught, and all-round cine-literacy is very important for a script consultant, but ultimately industry credentials talk. So whilst some script readers get by initially on nepotism, or good fortune, it’s very tough – nay impossible – to retain many of the prestigious script coverage jobs in the industry without having exceptional script analysis skills. 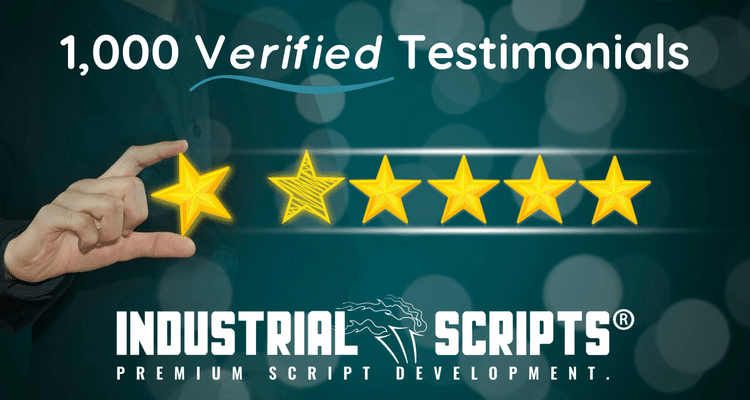 It’s these consultants that Industrial Scripts hire, and when you send your script to us you can be certain that your project is being analysed by a script editor with pedigree. I sent this certain script to three different analysts throughout the screenwriting world just to see if they would ‘get’ the ending and the analyst from Industrial Scripts was the only one who understood exactly what I was aiming for. I sent my screenplay to dozens of agents & production companies. When I did get a reply, it was often that they only deal with professional script reading services. Several mentioned Industrial Scripts. The cynic in me smelled a rat. And an empty wallet. But I took a look and spent an hour or two reading the Industrial Scripts website. I was persuaded by what I saw, the professionalism of the site and the reasonable fees. Off went my script and my money, half in hope, half in curiosity and expecting a two paragraph summary and a goodbye note. But not at all. In a fairly speedy turnaround, I received a very comprehensive and useful analysis of my work. Also, to my amazement, I got an Honorable Mention and free entry onto their Talent Connector programme. This meant my script would be submitted for me to a wide range of agents & production companies. Probably all those who had already given me the elbow. So – an excellent service that I will be using again. Well worth the money and highly recommended. I’m unsure – which of your services should I go for? Our script editing 1-to-1 days involve one of our senior script consultants reading your script beforehand, and then jumping on a live Skype call to go through the script in great depth. It is hard to put into words just how impressed I am. I received 9 pages of feedback on the screenplay I submitted. Accurate comments and points that not only pointed out what I needed to improve but also the strengths found with in my screenplay. They discussed everything from current expected audience, Art-house, to how it could, if desired, be honed to suit a more wide-spread audience. The writer of my report had also obviously spent a fair amount of time looking into similar movies as they made well informed comparisons. Delivered in a neither scathing nor overly gentle way the report leaves you with confidence in your screenplay but yet determined to improve it. I completely and totally recommend Industrial Scripts. They went above and beyond what I expected. How long will I have to wait for my script report? Our standard turnaround time on all script notes is 14 days, but it’s rare we take that long. If you’d like to guarantee a quicker report, we offer various fast-turnaround services that can be bolted on to your order. 4.73 out of 5 based on 403 reviews. Do your characters truly FASCINATE? Download our FREE 40-page guide on writing complex characters guaranteed to fascinate agents, executives and producers!